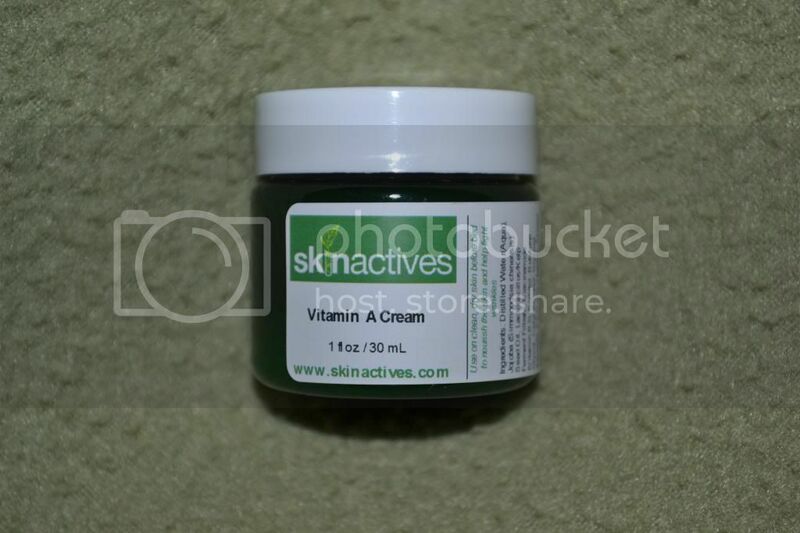 Mommy Moments with Abby's review of Skinactives Vitamin A Cream: So, I signed up for this cream because it is supposed to help with wrinkles and my eye area has been seeing more wrinkles than normal with this heat and no sleep combo I have going. What I didn't expect was that it seems to be helping with a recent acne issue I've been having! I recently broke out massively, which I associate with a medication switch that I made and it being one of the unfortunate affects. I have noticed a decrease in my break out since starting this cream, while they aren't completely gone, they are decreasing and slowly healing themselves away! Now, this could be my body being used to the switch, but its timing does seem to be correlated with the start of using this cream? I'm hoping it will continue to help my skin heal and clear up as I continue to use it each night! Sounds like a bonus to me if it is responsible for this skin development! Vitamin A is needed by the retina of the eye in the form of a specific metabolite, the light-absorbing molecule retinal. Vitamin A is also crucial for our skin: when oxidized to retinoic acid, it is a growth factor for epithelial cells, where it binds to two different nuclear receptors to control gene transcription. Our Vitamin A Cream is one of our best selling products and will help improve wrinkles, acne, and pores. Ingredients: Distilled Water, Jojoba (Simmondsia chinensis) Seed Oil, Lactobacillus/Kelp Ferment Filtrate,Niacinamide (Vitamin B3), Sorbitol, Butylene Glycol, Cetyl Alcohol, Glyceryl Stearate, PEG-100 Stearate,Stearyl Alcohol, Sesame (Sesamum Indicum) Seed Oil, Sweet Almond (Prunus amygdalus dulcis) Seed Oil, Avocado (Persea gratissima) Oil, Allantoin, Hydrolyzed Collagen, Retinyl Acetate (Vitamin A), Carnosine (L-),Hyaluronic Acid, Cocos Nucifera (Coconut) Fruit Juice (Endosperm), Tetrahydrocurcuminoids(Tetrahydrodiferuloylmethane, Tetrahydrodemethoxydiferuloylmethane, Tetrahydrobisdemethoxydiferuloylmethane), Pomegranate (Punica granatum) Seed Oil, Tocotrienols,Tocopherol (Alpha-D-Tocopherol, Vitamin E), Astaxanthin, Lycopene, Xanthophyll (Lutein), Alpha Lipoic Acid [R-(+)-], Beta Carotene, Palmitoyl Pentapeptide-4 (Pal-Lys-Ths-Ths-Lys-Ser-OH), Polysorbate 20, Citric Acid, Dimethicone, Carbomer, Triethanolamine, Diazolidinyl Urea, Phenoxyethanol, Methylparaben,Propylparaben. How to use: Apply an even layer at night on clean skin. Warning: This product increases the risk of sunburn, so care should be taken to protect treated skin from overexposure to ultraviolet light. Stay in the shade or use sunscreen.